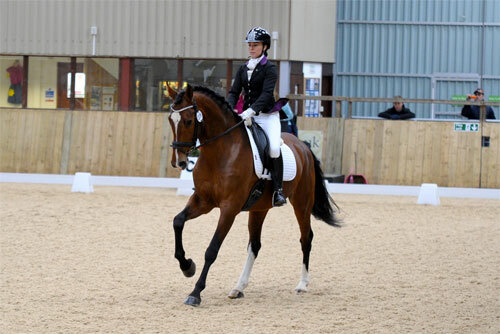 ‘I’ve known Ryan for a number of years and watched his work with a growing number of young horses. So when I had a youngster of my own that had grown to 17hds and was proving quite sharp to back, I rang Ryan to ask if he would have him. I just have to write and say a huge thank you for finding me the most wonderful Horse. Having heard from an associate of mine, who had recently purchased from Ryan, I couldn’t wait to get in touch, however, there was no need, Ryan contacted me first, gladly as I am not the most forthcoming! Superb communication started and an array of video clips sent to me tailored to my wish list. Which also meant I could watch with my trainer, and have his much valued opinion too. Of the Horses I particularly liked, this meant a trip to Holland to view, which was completely out of my comfort zone, but, dates to visit all were to suit me, accommodation was even recommended which was accessible to the airport (literally minutes) and Ryan’s counterpart to pick us up, there was even no objection to me bringing a friend for company. Beautiful yards, with stunning horses and very welcoming people. The Horse I had liked in particular turned out to be even more special in the flesh, I spent well over an hour and didn’t want to dismount!! The vetting and delivery was all taken care of for me, with regular updates throughout the whole process. 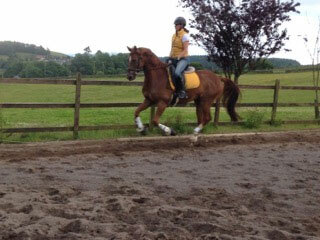 My beautiful Horse arrived stressfree, and has settled in very well. 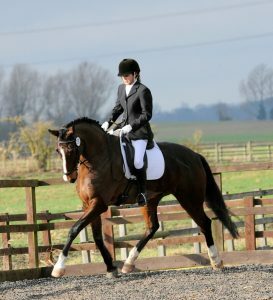 I am delighted with her, she is exactly what I described to Ryan, and perfect for myself being an amateur. I can’t thank Ryan enough, and wouldn’t hesitate in doing the whole thing over again! I would never go anywhere else, perish the thought!! 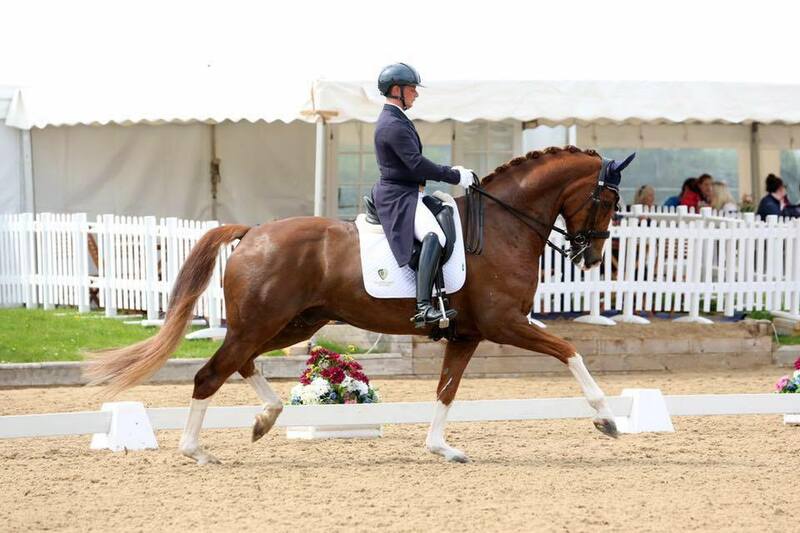 I first met with Ryan and Calum when viewing a top class 4yo Stallion with my very good friend and colleague Mrs Jayne Dillon, Needless to say we purchased Donald and love him dearly. Donald is exactly what they said he was on the phone and in person and would not hesitate to ask for advice or view more horses from them in the future. 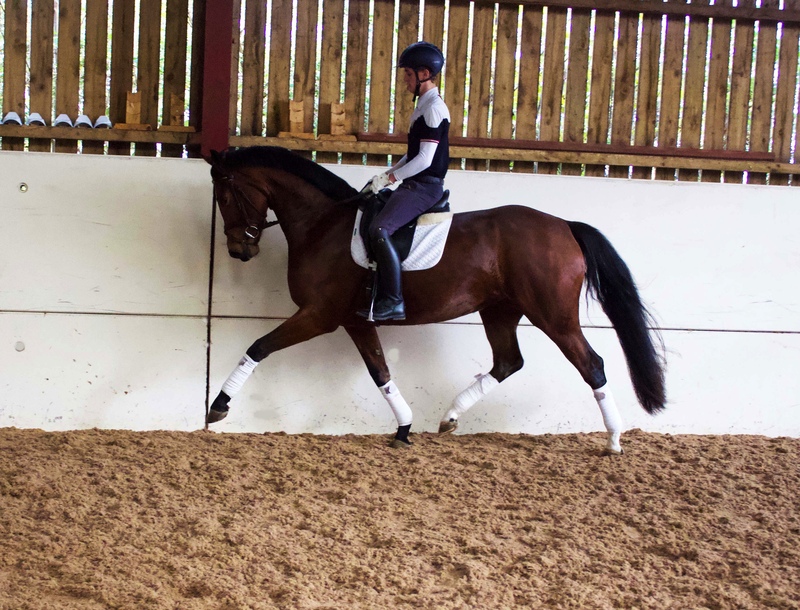 Ryan and Calum are extremely talented and knowledgable horse men, so much so my youngsters are now sent to them to start them of within their ridden work. 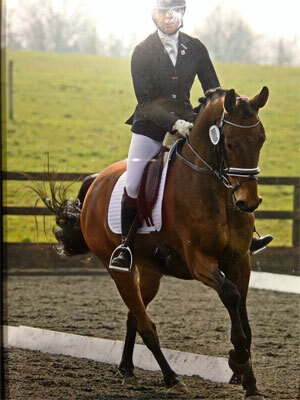 I would not hesitate in recommending them to any one for backing & sales of top sport horses. 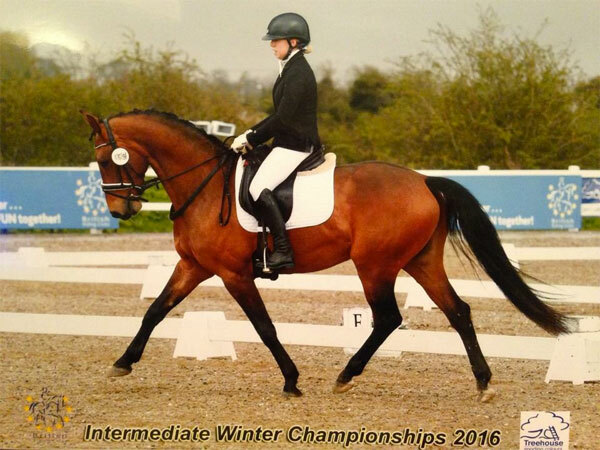 I first met Ryan and Calum in 2013 as we were looking for a Young Rider horse for my 18 yr old daughter Francesca. “Ernest” was for sale through them, as his owner was working abroad and could only take one horse. What a find. 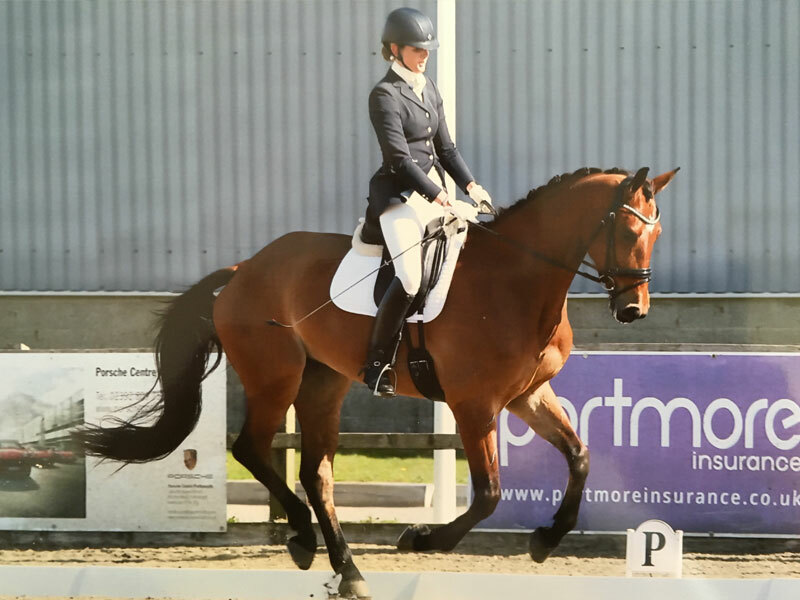 Ernest has proved to be everything and more, and taken Francesca from her first ever Advanced Medium, to representing GB Young Riders internationally, both home and abroad in 2015/16 and winning the Summer Regional Championships at Inter 1 in 2016. They are now aiming for U25 Grand Prix. Calum and Ryan stayed in touch and have been so genuinely interested and supportive in Ernest and Francesca’s progress. As an “enthusiastic amateur” dressage rider, a few months later I found myself considering getting a schoolmaster dressage horse that could teach me the higher levels; one I could progress on. 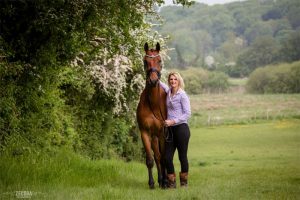 My gruelling work schedule meant I needed that impossible balance of a horse that was laid back, safe, and didn’t need riding everyday but capable of higher levels with a lot “under the bonnet”. I called Shannon Equestrian in the first instance and Ryan and Calum suggested “Trevor”. I recall feeling quite nervous at my ability and riding an unknown horse in front of Ryan and Calum. But they couldn’t have been more lovely – totally supportive, putting me at ease and encouraging me to ride my first ever flying changes! Trevor has since taken me up to Advanced Medium and represented Wales at Inter Regionals and Home Internationals, and I even have ambitions that I may wear tails one day with him! I cannot thank Ryan and Calum enough. They are extremely knowledgeable and experienced, and lovely genuine guys with it. And they are highly respected within the industry. 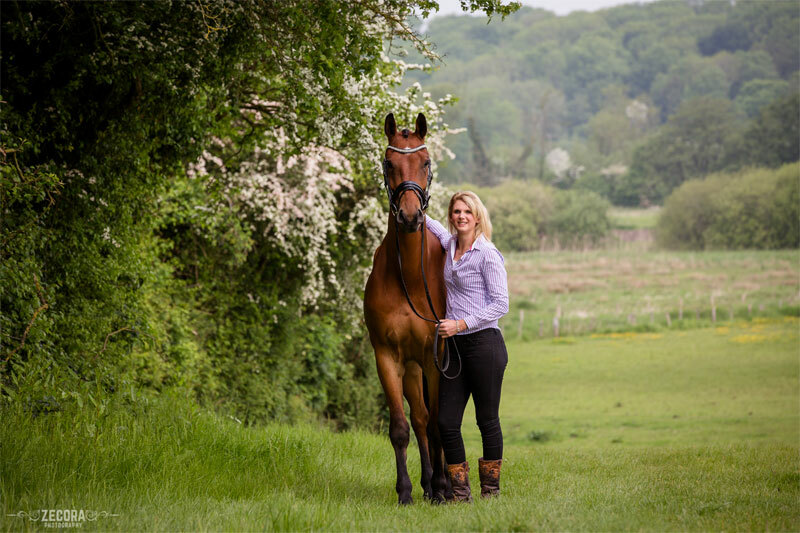 I was confident that if they felt that either horse was not suited to us then we would have continued the search to find a more suitable match. And horses came within budget too. We have not looked back since owning Ernest and Trevor. 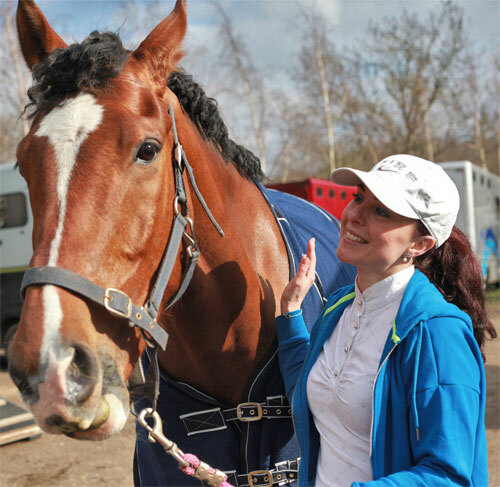 Shannon Equestrian has been a key part to ensuring we were right for our horses and vice versa. 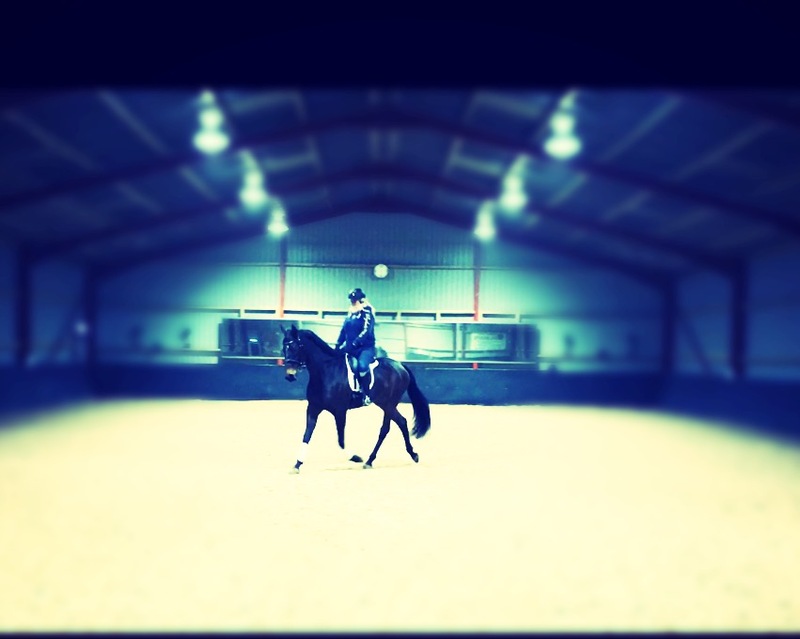 I can’t recommend Shannon Equestrian highly enough! I can definitely recommend Ryan and Calum after having my youngster to break. She came back an absolute pleasure to ride, loves her jumping and quite safe hacking round big open fields. They obviously took the trouble to treat her as an individual to keep her happy in her work and what is more she came home a much nicer person. I’ll not hesitate to send my yearling to them when the time comes. I am the lucky owner of a fantastically talented and quite brilliant young KWPN all thanks to Ryan! In 2009 I was looking for a young dressage horse to take all the way to GP. I had seen quite a few that I liked but none had really grabbed me, and many were well out of my price range. On seeing Ryan’s website (Shannon Equestrian) I noticed several nice young horses but one stood out to me as if he was covered in neon lights! 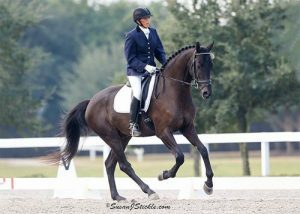 Baldino was a 3 year old unbacked KWPN by a stallion I liked and with a dam sire that has produced fabulous dressage horses. I was prepared to buy him on the video alone as I had never seen something so naturally uphill in all its gates and with an engine to die for. However, I persuaded my trainer to come along for a 5 hour drive to see him and we were not disappointed. He had such a lovely intelligent face and when Ryan brought him out I could have hugged him! 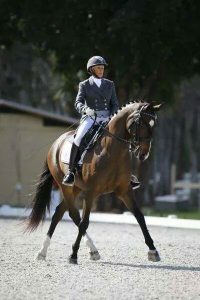 Baldino was stunning and what’s more had the most perfect conformation and I honestly thought there had to be a catch. My trainer could not contain her excitement after Ryan loose schooled him and turned to me and said “if you don’t buy him I will” so very quickly I agreed with Ryan a price and organised to have him vetted in the next couple of days. Ryan suggested several vets and transport companies to me and the two I used were very professional. Baldino arrived home with a lovely new travel rug, headcollar and lead rope, none of which I had been expecting so thank you Ryan. I have had him almost two years now and we backed him just over a year ago. 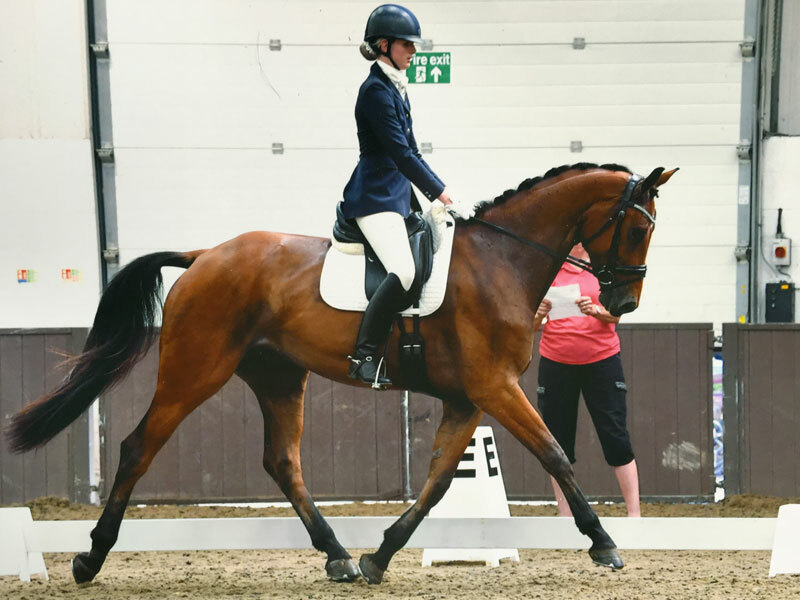 He has been exactly as Ryan described him, a horse with great future prospects, 3 super paces, a wonderful temperament and above all else the most trainable and trusting horse I have ever had. He has been a pleasure to do and has taken everything in his stride. 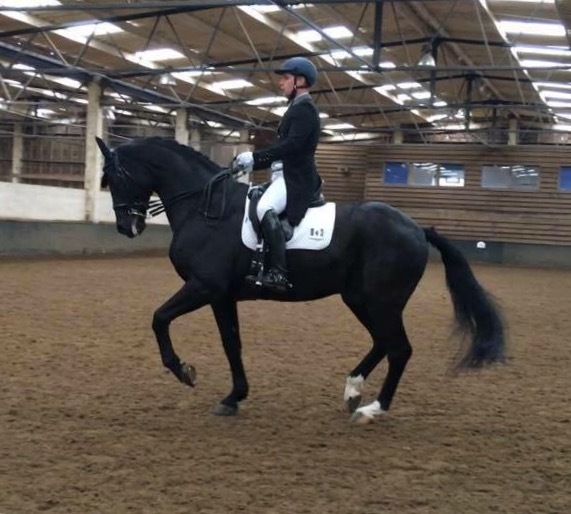 His dressage career has started very well, so far winning most of his classes with scores of 9 for his paces and percentages in the 70’s and he recently qualified for the Badminton Young Dressage Horse of the Future 2011 final held in July so we are very excited. He is also very close to qualifying for this year’s summer regional’s so I’m hoping to achieve our last qualifying score in the next few outings. 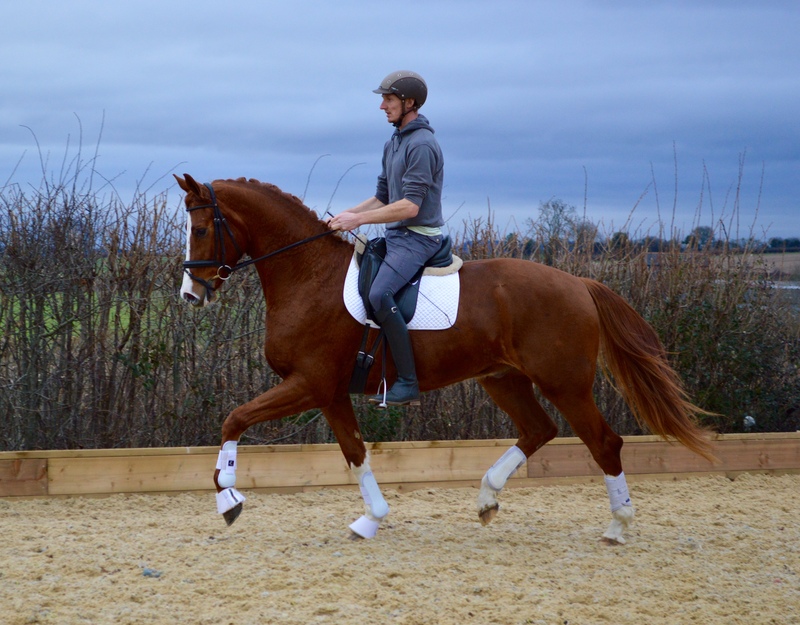 I have been lucky enough to have several top riders/trainers see him (and a few ride him!) and every single one has told me he is a serious horse for the future, only a few weeks ago a list 1 judge told me he could win the world cup!! But thankfully that’s a way off yet! When my current horse developed a health issue and I took the really hard decision to retire him , a really good friend recommended Ryan. I was looking for a dressage horse suitable for a hobby dressage riders compete at elementary / medium level. I had a modest budget , which I could not exceed, and the horse had to be safe, sane and sensible. Ryan sent me videos and pictures of a couple of horses, then we decided to do a day trip to Holland. Armed with a day return Easy Jet ticket , I met Ryan at Schiphol Airport. 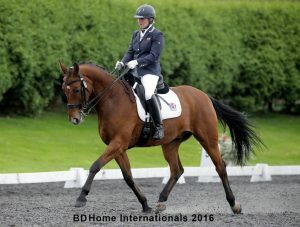 I looked at four horses varying ages and training.I will admit that I felt very self conscious and intimidated riding in front of the Dutch owners and riders. Ryan was a real gentleman and came into the arenas with me , told them he was my trainer and worked with me and the horse. With Ryan’s help I found the perfect horse. 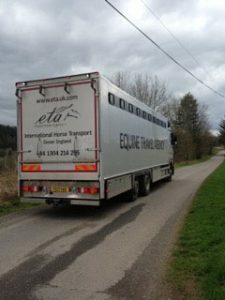 He organised the vetting , which was emailed to me along with the X-rays , and organised the transport . My horse was picked up from the Dutch yard on the Monday and delivered to my doorstep in Scotland on the Friday. There was no hassle with papers passports etc , this was all taken care for me. It was a really fun stress free experience. 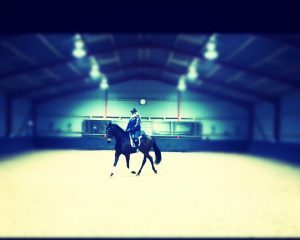 I had a wonderful time in Holland and have a wonderful horse. 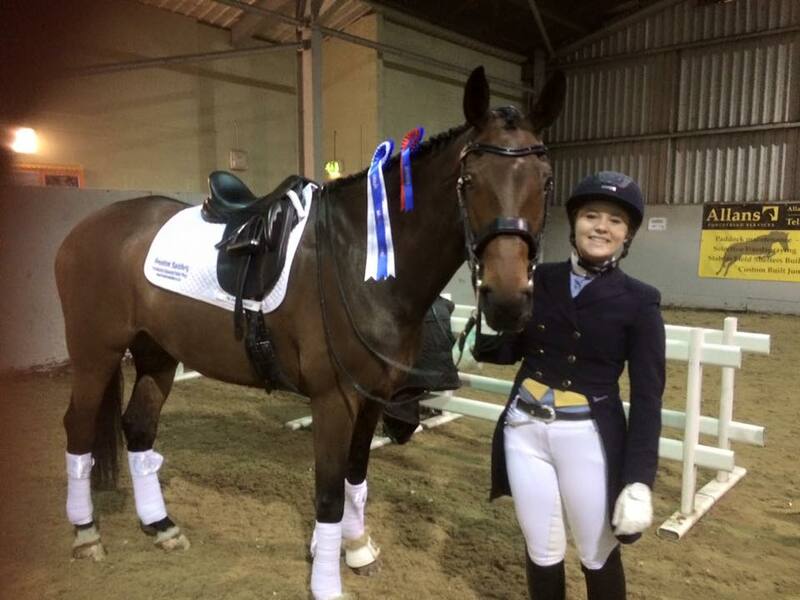 Hi, just wanted to say a big thanks to Ryan and Calum at Shannon Equestrian for finding us Furona. I never thought that I would ever consider buying a horse off a video without seeing it in the flesh. After endless journey’s to see horses and even buying a horse off someone I know and not being told the truth I decided to take a chance on Shannon Equestrian we have not looked back. Furona is everything they said he was and more. 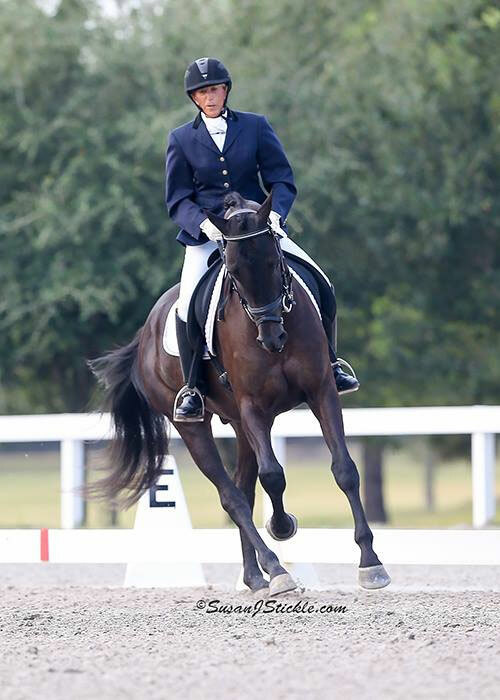 We highly recommend Shannon Equestrian. 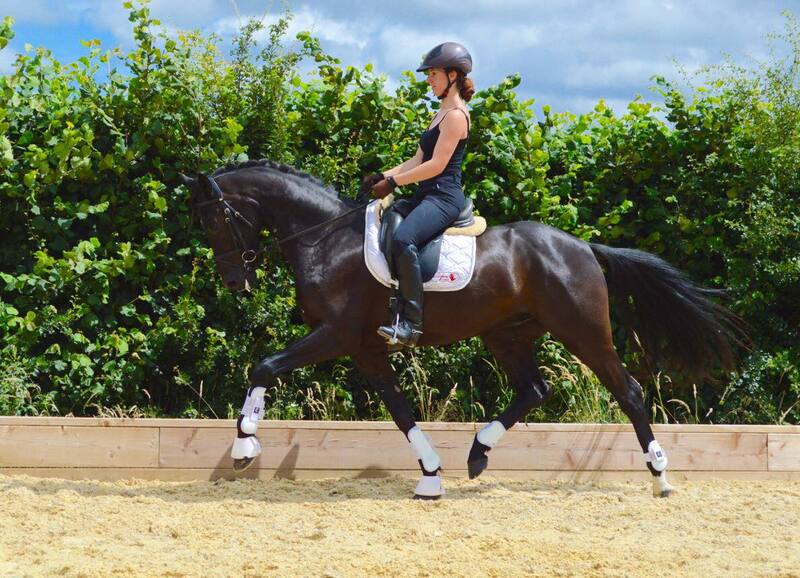 I bought Cienus (aka Lui) from Shannon Equestrian as a 3 year old project to bring up through the levels. 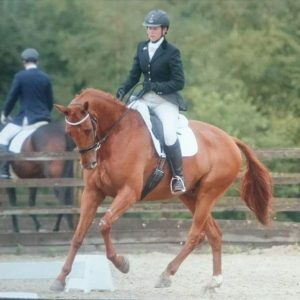 I had been looking for a youngster for over a year and was impressed with the quality of the horses and the services on offer. 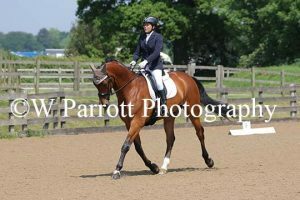 The one that won my heart was a long legged very friendly KWPN which had just been imported from Holland. 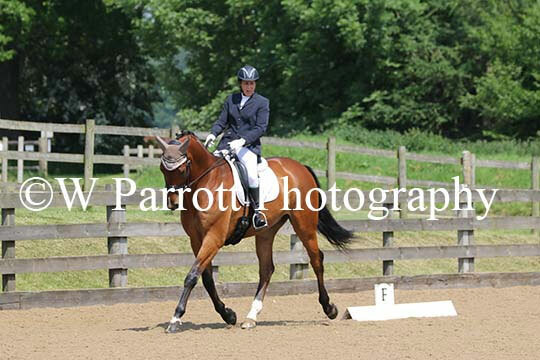 Of all the horses I owned he is the most talented. We are currently competiting at Advanced Medium and hope to make the higher levels one day. 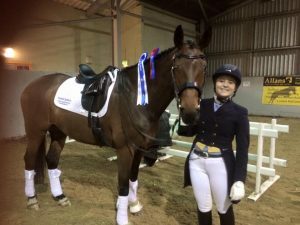 I would very much reccomend Shannon Equestrian not only for the quality of their horses but also for their customer service and care before and after purchase. Ryan now does all the backing of our own homebred and clients horses based here at Headmore Stud and has done for the last couple of years. We trust Ryan completely. His empathy and understanding of young horses is second to none, hence why we continue to make the 2 hour+ journey up to him. Ryan has always done an outstanding job for us and we cannot recommend him highly enough. Hey Ryan….. 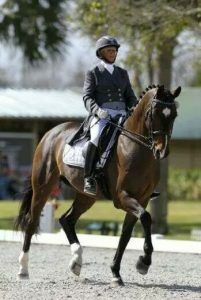 I just want to tell you that the two horses Beth Butler purchased from you (Accentuate and Reveille) are the very best horses I have ever had the privilege of training and riding. Thank you so much for representing such quality horses and being so trustworthy and reputable!!!! You and Beth have changed my professional career forever. 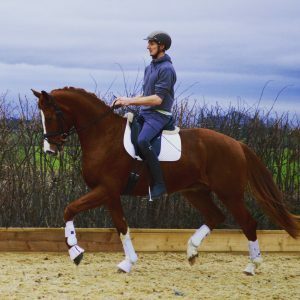 We purchased Giacomo from Shannon Equestrian in December 2014 as an imported 3 yr old stallion, after one viewing I could tell he was the perfect horse for me as this would be my first youngster, Ryan at Shannon equestrian was very informative and could see that I was wanting me “forever horse”. He was helpful and knowledgeable throughout. 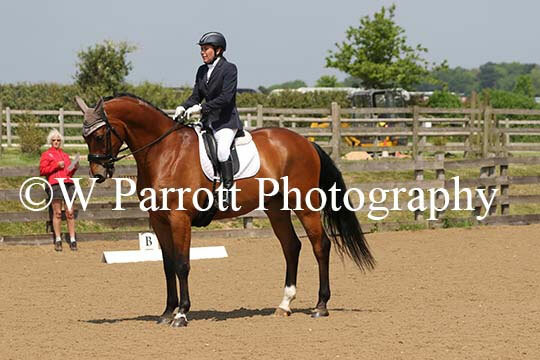 Gio has in his grown into a very nice horse and as a 5 yr old broken and ridden by an amateur rider has qualified for both the BD regionals and pet plan, also gaining qualification for BYRDS sheep gate champs and qualified for BRC Intermediate Champs. 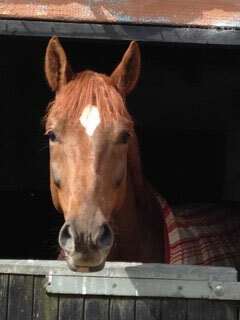 We have been very happy with our baby, and would recommend and use again Ryan to find a horse. After what felt like an age of trawling through overpriced and over indulgent adverts I had almost given up the hope of finding a sensibly priced new dressage prospect. I stumbled across Ryan Shannon on facebook and was immediately impressed with the quality of horses that he had in and the sensible approach taken in their early training. I took the plunge and messaged Ryan to enquire about anything he may have suitable, discussing I wanted a horse that was sane and sensible enough to be produced my an amateur but with a little bit of *sparkle*. Ryan responded promptly, providing detailed videos, pictures and answered all my questions about the prospective horses he had. We took the plunge, and one chaotic bank holiday we made the 4 hour drive. We arrived and Ryan was welcoming and had Beau ready to view, he was happy for us to stay as long as we wanted and see her both inhand and on the lunge. There was no pressure selling and we did not feel that we had to make a decision there and then. 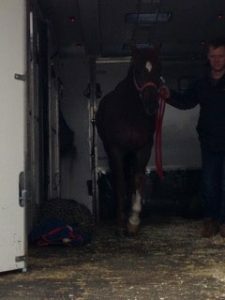 Upon further discussion at home we decided to go ahead with the purchase and Ryan went above and beyond, making sure he was available for vetting times and also helping to arrange her transport to the lovely North West! !Since her arrival I’ve spent 4 months waiting for her halo to drop, she has been the most fantastic 2yo, taking everything in her stride and is a joy to own. She shows all the makings of a super star and I cannot wait to get her started. 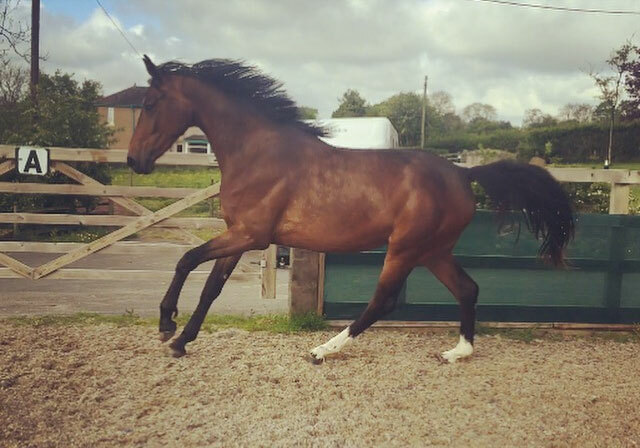 Ryan has taken a keen interest in Beau since her sale, often asking for updates and was kind enough to send pictures through of her as a foal, which were fantastic to see. 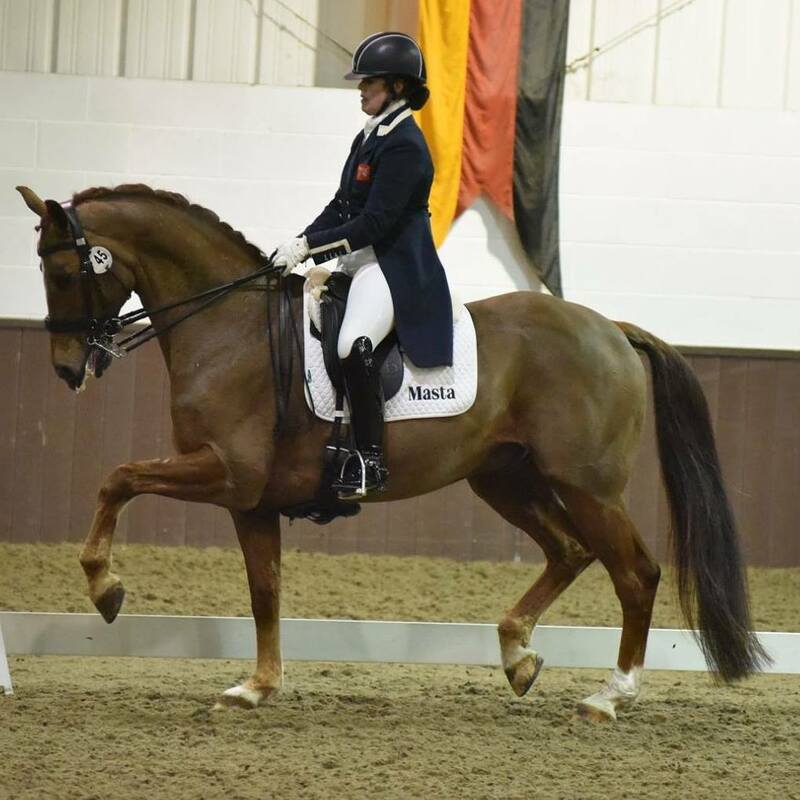 Thank you so much for selling us a super star Ryan, I cannot wait to start her dressage career! 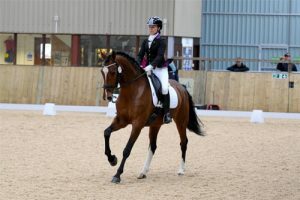 I first met Ryan Shannon and Shannon Equestrian when I was looking for a youngster, Ryan was recommended to me via Charlotte Dujardin. My youngster was found and imported by Ryan. Once I had purchased Joey I asked Ryan to have him for 6 weeks to back him as a 3 year old. From the first moment I saw Ryan work with a Ferrell, big young horse I knew I had put my horse in the right hands. Ryan and Callum are the most calm, considerate and empathetic horsemen I know. Joey trusted them both and they did a beautiful job of teaching him the ropes. Within 6 weeks I had a 17hh 3 year old who could walk, trot and canter on both reins confidently and calmly. 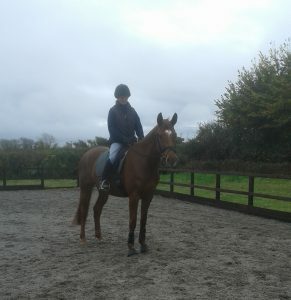 After 6 months in the field I sent Joey back to Shannon Equestrian to continue with his education as a young 4 year old. He stayed with Ryan for another 8/9 weeks. 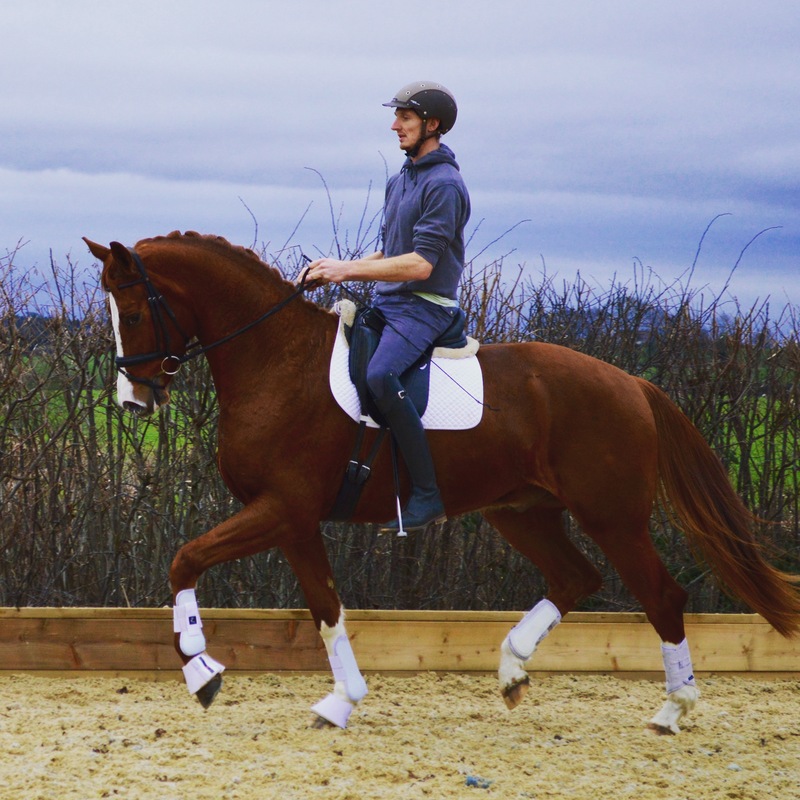 Every time I visited my horse he was happy, healthy and improving. At the end of his time at Shannon equestrian I took home a safe, well trained youngster whom I was confident to ride myself. Ryan produces horses ready for life, not just a dressage arena. 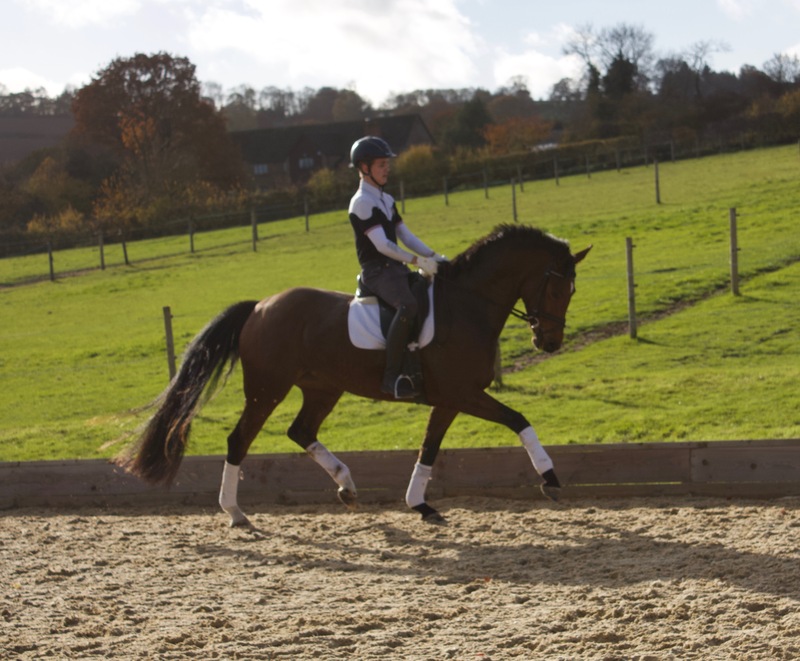 I’m able to ride him on the road, round open fields, in the school and at competitions. The fundamental ground work he received was second to none. He was never scared and everything was black and white, he had had an all round education. A year on from him having been with Ryan, Joey is now a 5 year old. He has competed at two premier leagues and has qualified for the Novice Gold at the Summer Regionals with scores of 70+%. I am so greatful to Ryan and Callum for how they produced my horse and I’m confident that without the grounding they gave him he wouldn’t be the superstar he is becoming. It now my job to do Shannon Equestrian proud by building on the concrete foundations they gave me! “Martha V was broken in by Ryan in 2013 and there has never been a day that I have any problems with her. As soon as she came home I was able to hack her out alone round the farm or on the road and school her in a 10 acre field. Within the three months Martha was attending Riding Club Training Group Sessions with no problems. Since then we have successfully competed County Level Small Hunters and BD Dressage, this is all down to the basics taught to her by Ryan. We plan to breed from Martha in 2 years and the youngster will then go to Ryan as a 3 year old to be broken in, that is definite”.